After many rumors, leaks, and speculation surrounding its release, Borderlands GOTY Edition for PS4 has been officially revealed by Gearbox today at their PAX East presentation, which is the first time the series inaugural entry is appearing on the current-gen platforms. This wasn’t the only announcement from Gearbox today, as we got the official reveal for Borderlands 3,as well. 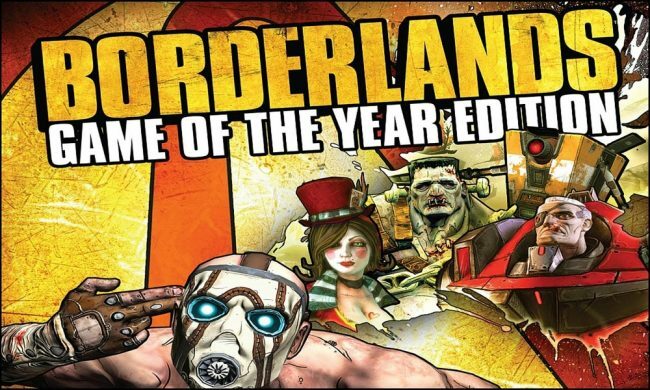 As for Borderlands GOTY Edition, it will be remastered for PS4 and Xbox One, with a few updated features. This version will include ultra high-definition visuals, four-player local co-op, all previously released expansions, and even the addition of a mini-map on-screen to help you know where to go. One of the most major inclusions is the SHiFT program, which will allow players to use Golden Keys to earn rewards in-game. SHiFT keys are a huge ongoing part of the Handsome Collection. The announcement of Borderlands GOTY Edition isn’t necessarily surprising, as we’ve seen countless sources confirm its existence, most recently with an ESRB rating for the game. What is surprising is how soon it’s coming out. You’ll be able to play Borderlands GOTY Edition in less than a week on April 3, 2019. While that may seem like an extraordinarily short time from announcement to release, you have to remember that Gearbox is a self-aware company and knew that most of its fans were all in agreement that this remaster was a real thing. So, with that in mind, it’s not too strange for it to be out so soon. In addition to that, there was also an announcement that Borderlands: The Handsome Collection would be getting a new ultra HD texture pack, a new physical card game called Borderlands: Tiny Tina’s Robot Tea Party is being released,and there’s even a free update to Borderlands 2 VR that will add in all of the Borderlands 2 DLC. That free update will release this summer. Gearbox is referring to this as “The year of Borderlands,” and with the onslaught of announcements and releases, it’s understandable why. Will you be picking up or trying out anything that was announced at Gearbox’s panel? Let us know!